Is this the HMV factory? These railings were far too high for me to get anywhere near into shot, so very sorry I don’t feature in this photo – but I thought it would be worth you getting to see the building from a different angle. 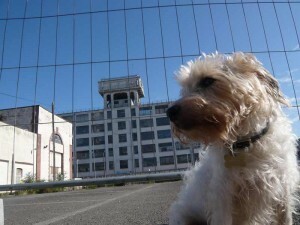 I don’t know too much about these factory buildings I’m afraid. In fact I don’t know if the building in this bottom photo is even part of the EMI complex, but I liked it anyway so struck a pose. 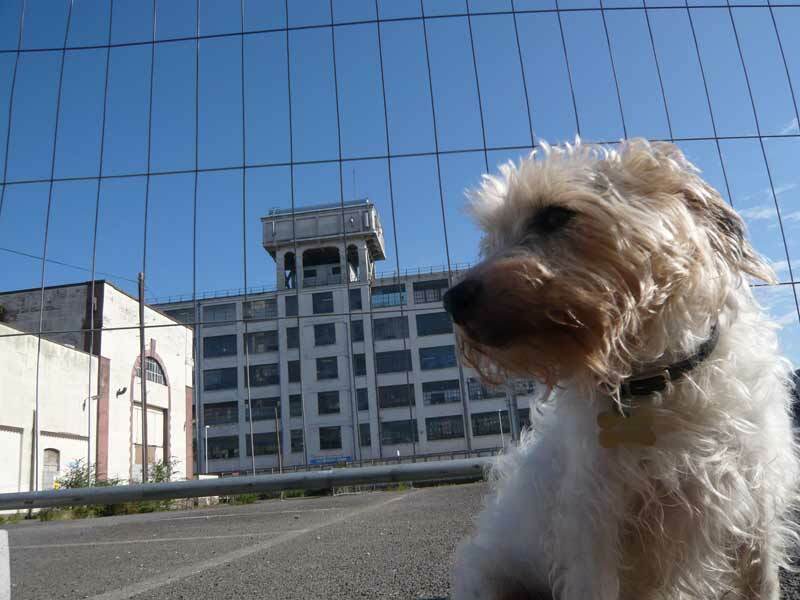 Part of this complex is the HMV factory, I think its the top one (and the one from other side of railway line), but please do let me know if you’ve got any more info. The site that I think is the HMV factory is about to be developed, and the security guards very kindly let me into the site to get up close and personal to the building. They also kindly kept their blimmin’ huge guard dog away from me, which was good because it was too early in the morning for a fight. 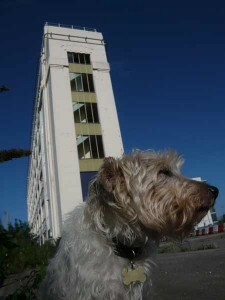 Thanks for your pictures with the nice dog I would like to know if the previous EMI art deco Buildings are always there in Hayes or be destroyed and transformed into new buildings : London Gate ? 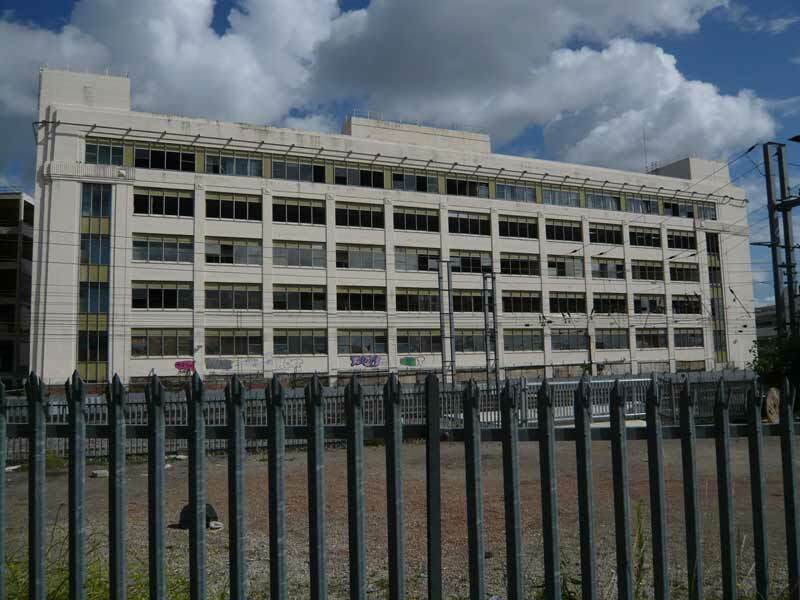 You probably know now, but the building you photographed is in fact the Old EMI building at Hayes- it was developed after being acquired by Blackstock in the mid 90’s who were forced to keep most of the exterior of Mercury House. I did a post- acquisition survey of the lifts – all of which were scrapped. There were about 22 across the site, if I recall- the oldest- built by Otis Elevator Company Yonkers NY- Installed in about 1933- shipped all the way from the good US. 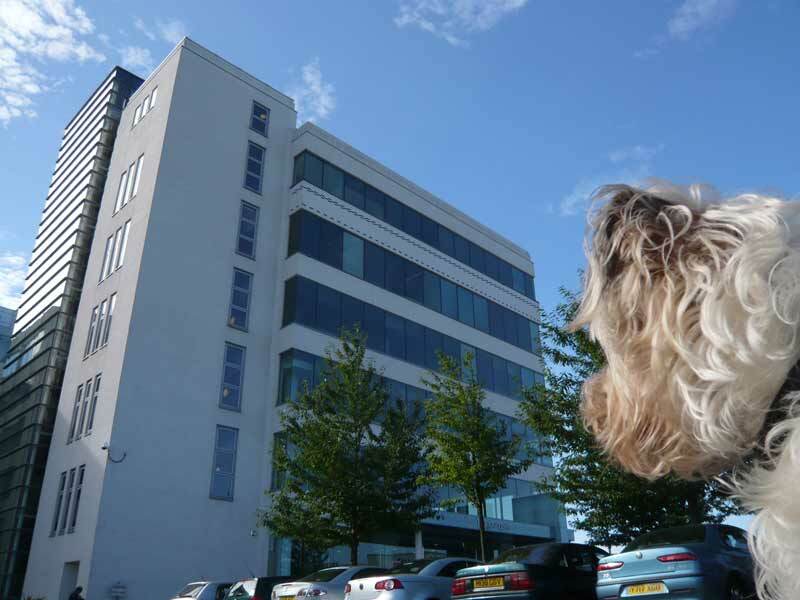 The rest were mainly Otis from Liverpool- Otis took over Richard Waygood- originally some of them would have been sources on his factory in Falmouth Rd London SE- Its used to be near where the Old Kent Rd flyover is now. As I wandered the buildings, I kept thinking of all the artist and labels and pressings that had been produced here- Pink Floyd..to name but one. All gone. The buildings were completely stripped out except the 1980s block- I think it was called Neptune House.